In June 1953, the cries of newspaper street vendors, “ latest news, read all about "it, broke the silence of the quiet streets of Kalamata, Messinia changing the course of its modern history. The front page of all three local newspapers “ The Simea”(the flag) , The Tharos ( the courage) and Ta Nea ( the news) ran the same ground breaking story about Australia having opened its doors to Greek Immigrants and that a sub-committee of the Intergovernmental Committee for European Migration (ICEM) or DEME as it was know in Greece was to visit Kalamata for the purpose of selecting migrants for Australia. 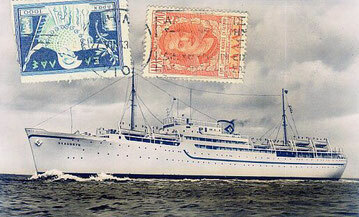 On the 25th pf July 1953, 300 Greek citizens boarded the Scandinavian vessel “ Skaubryn carrying more1000 migrants and sailed from Piraeus to Australia, hoping for a better future but at the same time fearful of facing the unknown. Four Messinian families were on board : the Panagiotis Gardiakos, Spyros Christopoulos, Elias Anargyros and one more. The Skaubryn was followed by many other ships carrying thousands of Greek migrants to Australia some of whom settled in Adelaide. These include men, women and children and at first many single men. The latter soon brought their prospective brides, many of whom came from Messina. The Greek migrants who arrived in Australia during the 1950’s found fellow Greeks “the Palaioi (old) who had settled in Australia before World War II, most of whom however originated from the Greek islands. With these thoughts in mind, three friends in Adelaide decided to act and established the Messinian Brotherhood of SA, which was destined to become the vehicle for the social and cultural activities of all Messinians. 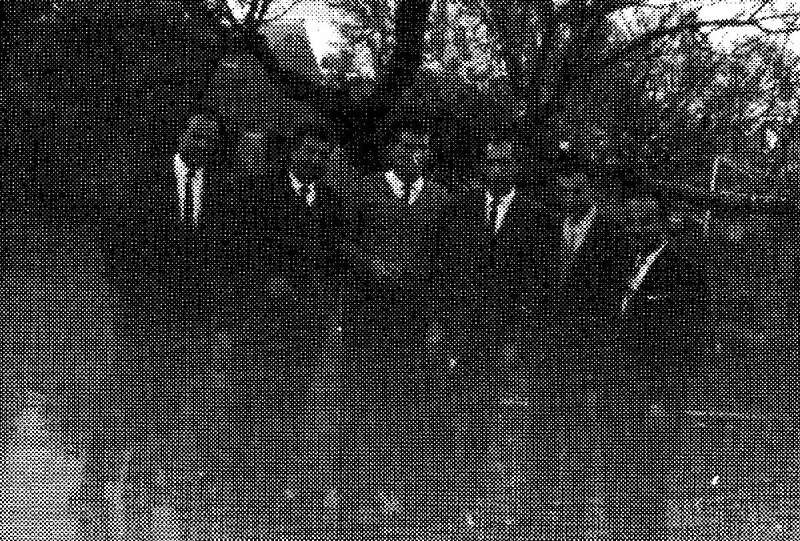 At the time, it is very likely that there were many Messinians in Adelaide, thinking along the same lines and even planning the establishment of a Messinian Organisation but no steps had actually been taken until September 1959. 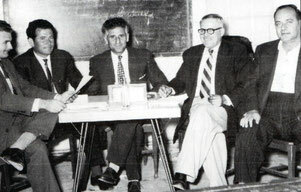 Vasilis Plemenos from Kalamata approached his good friend Angelos Bouzalas from Klisoura Pylias with the idea of forming a Messinian Organisation in Adelaide, but Angelos was opposed to Vasili’s idea. More discussions took place with George Mantis from Neromylos Pylias taking a stand in favour of the idea. 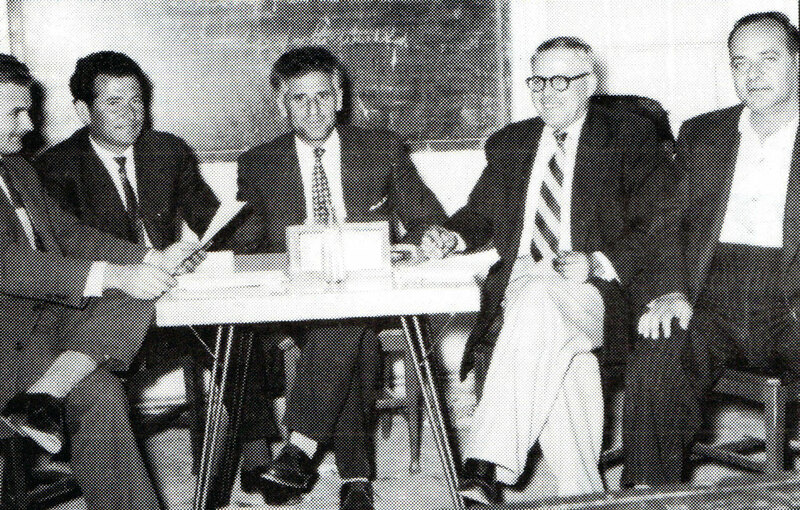 It took quite some time before Angelos Bouzalas would come around but after repeated discussions with George and Vassilis, Angelos finally agreed to the establishment of a Messinian Organisation for South Australia. A plan was put into action, a typewriter was borrowed and the first announcement calling for a meeting of all Messinians of Adelaide and South Australia was typed up by Angelos. Copies were made using a duplicating machine and were distributed outside the Greek churches and Greek clubs. A copy of this invitation dated the 24th of September 1959 is archived in the Association’s records. On the 4th of October 1959 the classroom at the Olympic Hall, on Franklin Street was packed to capacity with Messinians. 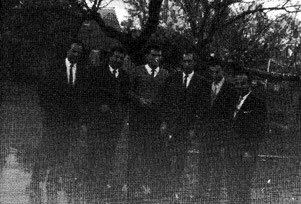 The late Mr. Nicholas Tzavaras, as one of the elders was chosen to chair the meeting which rapidly approved and authorised the establishment of the Messinian Brotherhood of South Australia. The five member of the Temporary Constitutional Committee were, Aristomenis Angelopoulos, John D Angelopoulos, Peter G. Costopoulos, Angelos Bouzalas and Peter Plemenos. The following is an excerpt from the Minutes of the Messinian Brotherhood of SA. "The Constitution was approved and the first Returning Officers/Auditors Committee was elected to organise the first elections which were held on the 15th of November 1959. The members of the first Returning Officers/Audit Committee were, Peter Andeopoulos, Con Vassos, George Kontopoulos, George Mantis and Dimitris Sardelis"